Are You Buying Or Selling A Nottingham Country Home? My Name's Steve Whitman and I Specialize in Nottingham Country Real Estate! Search System Updated Daily & Includes All Nottingham country Homes & Real Estate! Nottingham Country is an established subdivision conveniently located about as close to Houston as you can get while still being in Katy. This is a family friendly subdivision and although some homes are a little older this subdivision has greatly retained it’s market appeal over the years. 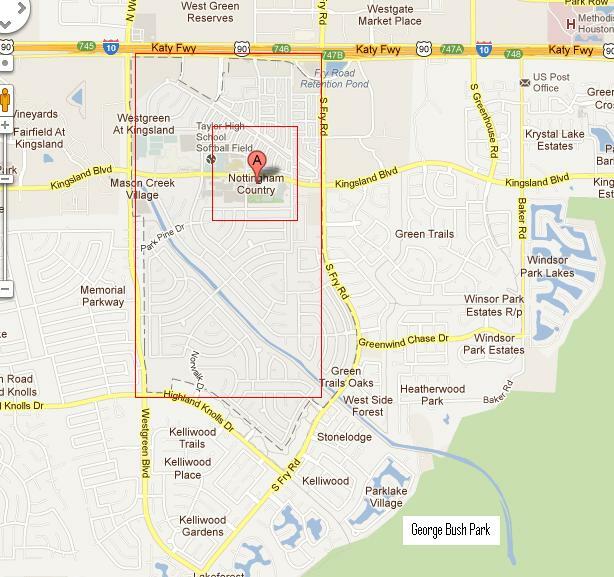 Nottingham Country remains one of the premier neighborhoods for Katy residents! Buying or Selling Nottingham Country Real Estate? Homes in Nottingham Country range in price from the $100’s to the $500’s. Real estate ranges in size from 2,000 to upwards of 5,000 square feet. Nottingham Country homes range in build date from the late 1970’s to the early 1990’s.